Byrdie hoping to see Robbie! Cut. Exterior scene. 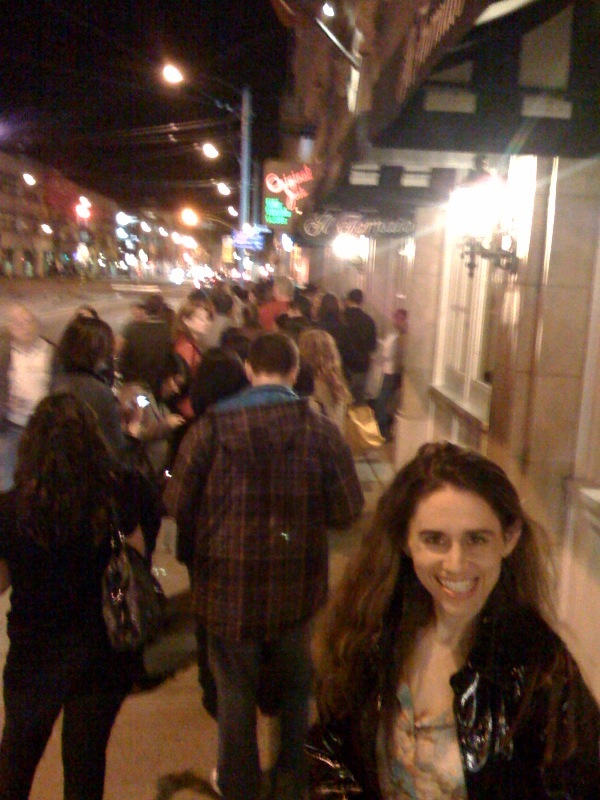 Crowded line queing beneath a flashing marquee. 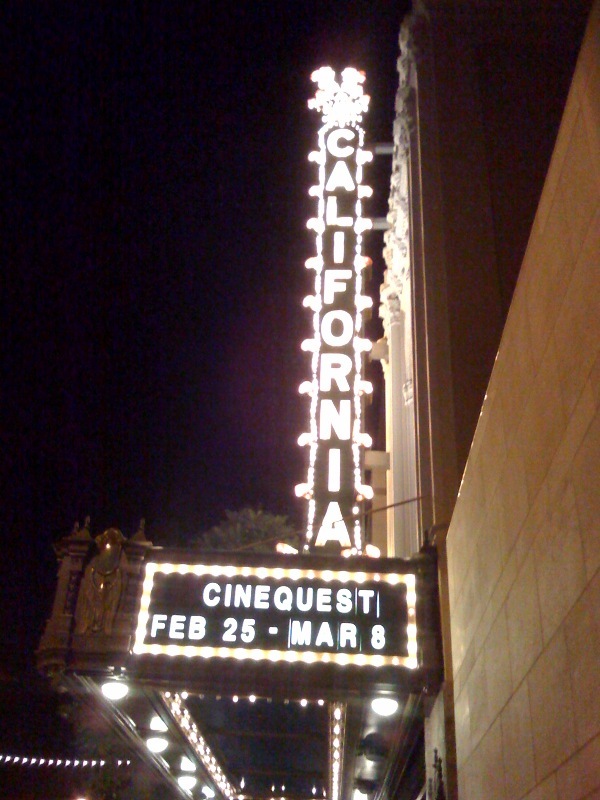 Inside, I pick the perfect location by the exit door where certainly you and the director would be entering for the Q&A after the screening. Just like Austin. Lights dim, film rolling, music starts and there you are: A.R.T. I say A.R.T. because this movie was a tribute to all things Robert (A. Robert. Tribute.) – all those quirky things we absolutely adore about you – your alter ego: shy, awkward, messy, clumsy, bumbling, giggling and just looking to be loved. All of my favorite scenes reinforced this very fact: when your girlfriend dumps you a second time in the bathroom, when you crawl in bed with your parents, when you get an erection (yes, ladies, it was in there) and those girls walk away, or when you give yourself a pep talk in the mirror. You just wanna be loved, and I’m totally up for the job. Cut. Enter director. Lots of screaming. No Rob. More screaming. Hushed silence. Director speaks. Audience asks questions. Nobody dares to ask the one question we all want to know – WHAT WAS IT LIKE WORKING WITH ROB PATTINSON? Final call for last question. Brave woman asks the question – WHAT WAS IT LIKE WORKING WITH ROB PATTINSON? Crowd goes wild. Director speaks: After searching for Art for more than a year, we knew Rob was right for the role because of his uncontrollable giggling. Of course you were. Who the hell wouldn’t fall madly in love with you the second you started giggling?!? This is what makes you real, Rob, a real piece of A.R.T. So, let’s see, next trip heading east this time: May 7 – Vancouver Canada – close local set for New Moon. 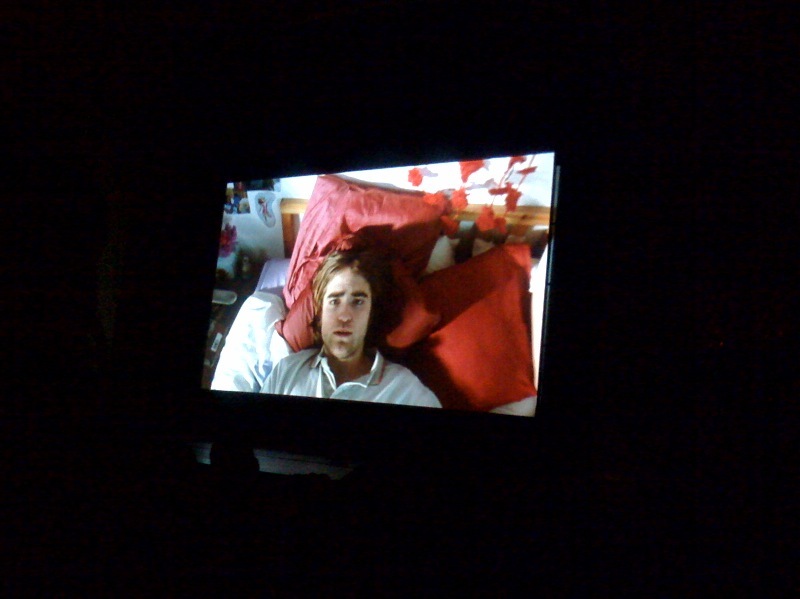 May 8 – New York – US Premiere of Little Ashes. May 10 – Volterra Italy – New Moon European shoot begins. I’m banking on a 3000 mile trip this time, and I’ll bring the ciggies. Um, he gets an ERECTION? That’s a Saturday am Delight right THERE!